Accelerated Free Fall (AFF) Info. 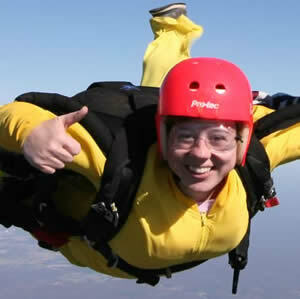 Call 770-614-DIVE (3483) to get all the details on the best skydiving experience around! Book a Tandem Reservation Now! 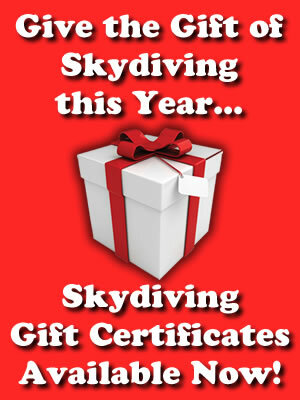 Purchase a Gift Certificate Now! Please note Skydive the Farm has moved to 493 Airport Rd. 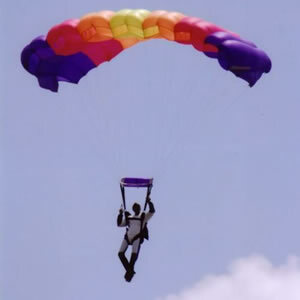 Cedartown, GA 30125 to give YOU an even better skydiving experience. Please make sure that you check the driving directions so that you can experience skydiving at one of the top dropzones in operation worldwide. Visit us on Facebook for more information on upcoming events and other announcements. Skydive the Farm is located in Rockmart, Georgia. You can contact us through the contact form on this site, or by picking up the phone and giving us a call at 770-614-DIVE (3483). Just how good is Skydive the Farm? Well, don't take our word for it. Read for yourself why Skydive the Farm holds one of the highest ratings of all drop zones internationally, as reviewed by visitors like you on dropzone.com. 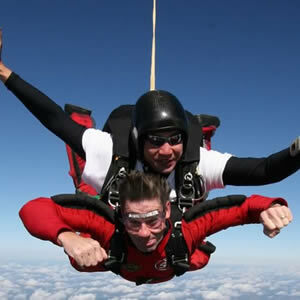 Please note, you must be at least 18 years old to experience the thrill of skydiving at Skydive the Farm. Your tandem skydive at Skydive the Farm will get you in the air and flying with a highly experienced tandem instructor right away. Read our information on tandem skydiving, including frequently asked questions, and make your reservation for the skydiving experience of a lifetime. The Accelerated Free Fall training program at Skydive the Farm will take you from your first training class straight through to solo skydiving. STF instructors will prepare you to safely skydive on your own and pursue the requirements for earning your own skydiving license. Skydive the Farm operates 7-days per week, hosts boogies, skills / ratings courses, swoop meets, and Georgia Skydiving League FS (RW) competitions regularly, CHUTINGSTAR Rigging Loft on-site, and welcomes experienced jumpers to experience the STF VIBE!